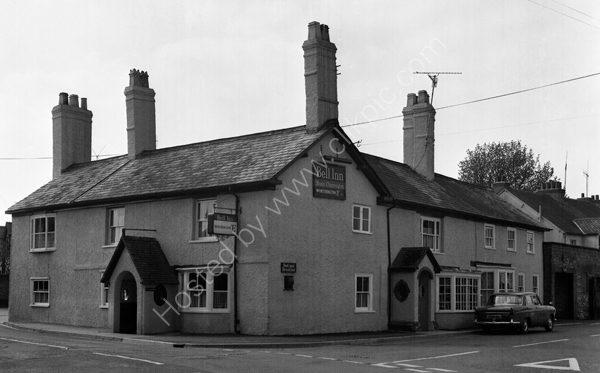 Clive Thompson LRPS Photography: Bell Inn, Wilton, Salisbury SP2 0DR around 1974. Bell Inn, Wilton, Salisbury SP2 0DR around 1974. The Bell Inn, wilton, Salisbury around 1974. The Wolseley car is 1685 DG. For commercial use of this photograph please visit www.alamy.com and search for E8BDD7 but for a one off print, please see below. Negative Owner Clive Thompson LRPS.